The Foundation assist’s Jason with his Special Olympic’s dream! “Jason, who has Down Syndrome, has always had a huge passion for sports of all kinds. 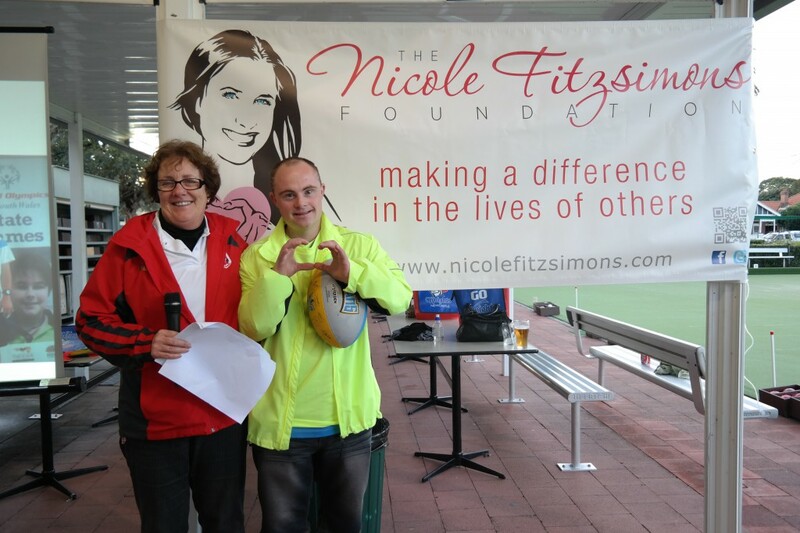 He has represented his own Hunter Region in Special Olympics at regional level on many occasions in both Gymnastics and Powerlifting. He has played in main stream soccer competitions with his local club up till under 15’s and then because of his disability we applied for special consideration for him to join the over 35’s competition which he played for a number of years until he found his niche in Basketball. He has been heavily involved for over 12 years in the ‘Waltz-Sing Matilda’s’ which is a dance group in Newcastle for people with disabilities. Jason just about lives for his NRL footy tipping and does not ever miss a telecasted game. Jason makes up for his short comings associated with his intellectual disability with his passion for sport and I have always encouraged him to try his vey best at all sports and most importantly to have great sportsmanship. I have always been extremely proud of all he has attempted. Especially since the paediatrician who explained to us that Jason had Down Syndrome told us he would probably never walk or talk and would only watch the world go on around him and never get involved in any form of normal life skills. He tried to talk me into putting Jason into an institution for my own sake as he would never achieve anything. How wrong was he!!!!!!!!! As I have raised Jason alone as a single parent for 24 years I have moulded my life around giving Jason every possible opportunity to reach his goals, including changing my employment years ago to a much smaller paying job to allow me to always be there to care for Jason and to be available to be a part of his sporting efforts. I have never asked anybody for help in anyway over the years however with the increasing costs involved now as Jason is accomplishing more and more with his Basketball I am starting to realise it is time to swallow my pride and look for some assistance so Jason can continue to go forward with his dreams. For Jason to compete in the Special Olympics Program we have to regularly travel for competition games to Wollongong, Port Macquarie, Sydney, Orange and Shoal Haven all at our own travel and accommodation cost. These costs are usually difficult but we have managed all but a few of the comp games. 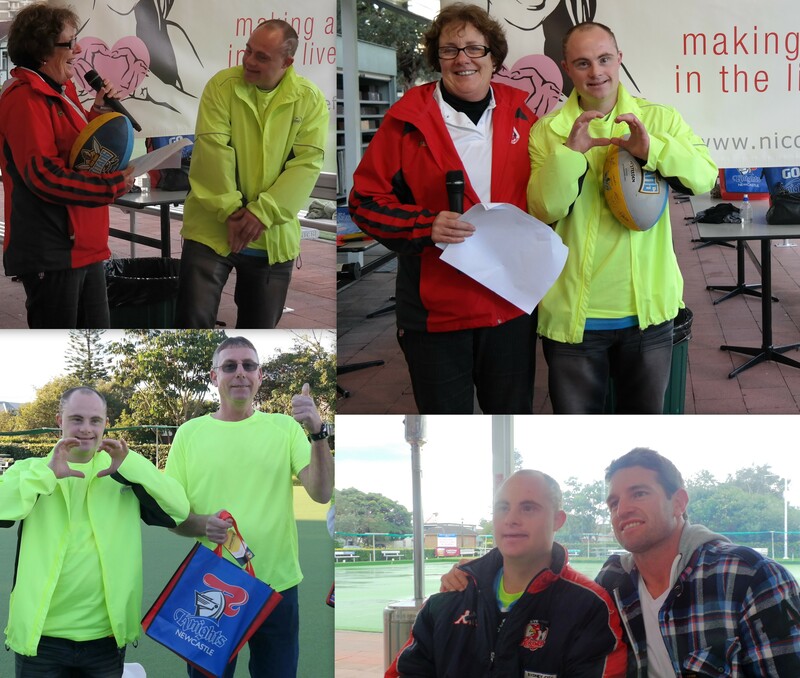 The upcoming National Special Olympic Games in Melbourne, however, are a different matter. Jason is not able to travel with me in our usual budget way of sleeping in the back of our ute or cheap motel rooms. He has to travel with the team. Which is a great opportunity for him but he has to raise $3300 to pay for his flights, accommodation, carers, uniforms etc. to compete in the games and maybe have the opportunity to be picked in the Australian side to play at the World Special Olympic Games which will be held in Los Angeles in 2015. What an opportunity that would be for him! !